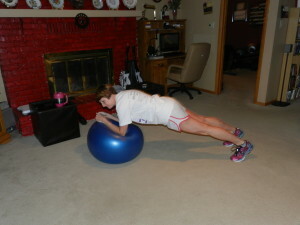 My 43 today was nice – it was core work but also a semi-stretch!!! 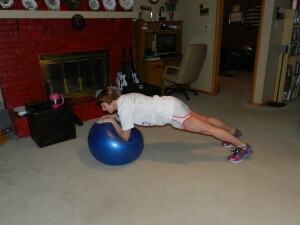 I used a stability ball to hold plank on my forearms. pull the abs in – don’t cheat! and then back on the ball for each rep.
apparently closing your eyes helps! 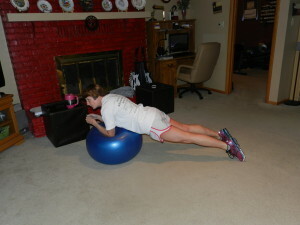 The biggest challenge in this 43 was keeping my balance on the ball while staying in plank. I tried to keep my body level (feet a little wider helps!). Today I did a Boot Camp workout for the rest of my workout. I used one of the 10 Minute Solution DVDs (love these) – Ultimate Boot Camp and did all 5 sections for a really great workout. If you have never tried any of the 10 Minute Solution DVDs, I highly recommend them. 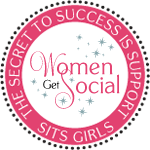 They are great if you just have 20-30 minutes since you can do a couple of the sections. I also like them as a complete workout – all 5 sections. The 5th (and final) section today was Six Pack Ab Attack. Because I was tired by that point I had to really focus on putting 100% into it. Then I started thinking about all of my ab/core work. It is at the end of my workout usually. I can’t think of a single workout DVD that I’ve done that has ab work at the beginning (or even during the middle) – always the end. As I struggled (no other word today) through the ab training I decided that I’m going to try mixing up my ab work some and putting it at the beginning of a workout when I’m fresh! 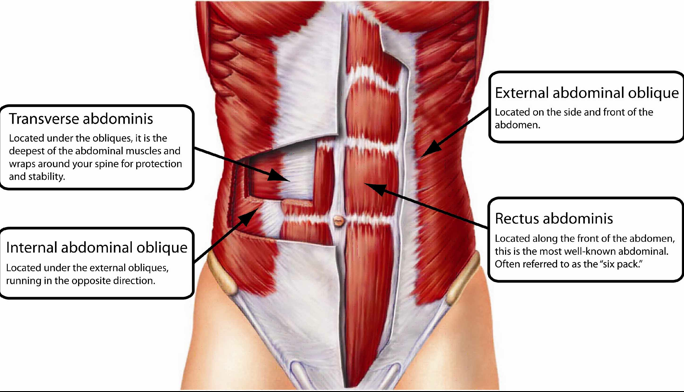 I did a little research about why abdominal work is usually at the end of the workout – the biggest reason seems to be the fact that so many exercises require you to use your core and if you have already trained your abs then you might not be able to perform the exercise safely. But, I’m still planning to try and change it up some. I’m always exhausted by the time I really focus on my abs so I want to see if it makes a difference training them first. not my abs – I WISH!!! When do you work your abs/core – beginning or end of a workout?